TASHKENT -- Military co-operation between Uzbekistan and the United States took another step forward last week as Defence Minister Abdusalom Azizov led a delegation to meet with US Central Command (CENTCOM) leadership in Tampa, Florida. The two sides discussed future military-to-military exchanges between the two countries. Topics included ways to maintain security and stability in Central Asia, co-operation in training military personnel, as well as future joint and international exercises, the Tashkent Times reported February 1, citing the Uzbek Defence Ministry. "We were proud to host Uzbekistan's Minister of Defence Gen. Lt. Abdusalom Azizov and his delegation at US Central Command," CENTCOM Chief of Staff Maj. Gen. Michael "Erik" Kurilla said in a statement January 29. "Uzbekistan is an important partner and we have a strong military relationship," he said. "We applaud the country's support and leadership toward stability and security efforts in the Central and South Asian (CASA) region." Azizov's visit to CENTCOM headquarters came at the tail end of a historic joint Uzbek-US military training exercise in Mississippi. From January 13-30, Uzbek special forces took part in a joint exercise with the US National Guard at Camp Shelby, near Hattiesburg, and at a training centre in Gulfport. 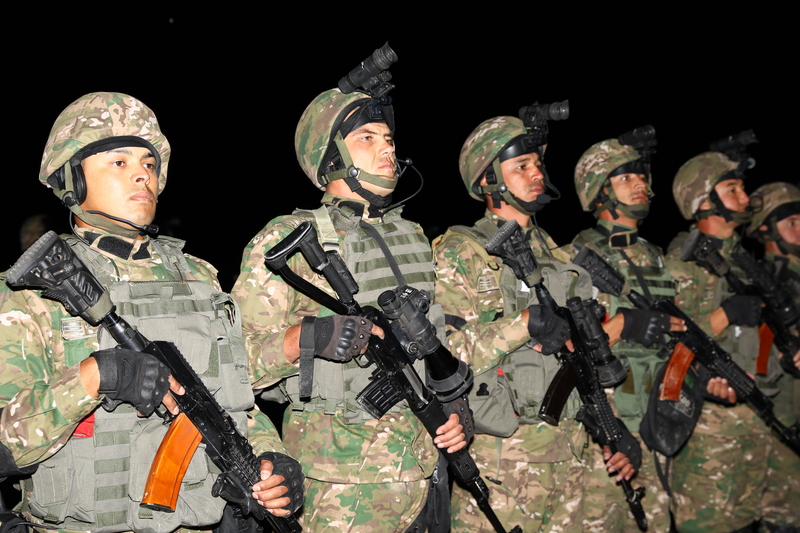 It represents the first time Uzbek troops have participated in exercises in the United States. As part of the exercises, Azizov and his delegation met with US military officials in Mississippi on January 29 to discuss security issues in the Central Asian region and co-operation with the United States. The exercises aimed to improve co-operation with forces from the United States and other key allies, including Chile, Canada and the Netherlands, according to the Uzbek Ministry of Defence. The drills included scenarios that took into account global crises and the individual needs of the participating units. A new era in military co-operation between the two countries began last year, when Uzbek President Shavkat Mirziyoyev made an official visit to the United States May 16-17. During the trip, Mirziyoyev met with then-US Defence Secretary James Mattis and the two countries adopted a five-year military co-operation plan. "Uzbekistan is interested in sharing experience, military-technical co-operation, interaction in the fields of defence and security with the United States," Mirziyoyev said during the meeting. For his part, Mattis called Uzbekistan an important geo-strategic state in the region. Such co-operation continued to grow in November, when Azizov hosted a US military delegation in Tashkent led by US Deputy Assistant Secretary of Defence for South and Central Asia Colin Jackson. "For us, the United States is a reliable, time-tested partner with which friendly relations, co-operation and mutual support have become constant yet dynamic," Azizov said during the meeting. "There is no doubt that close co-operation with the world's most advanced armed forces helps increase the combat readiness and operational capabilities of our military," he said. The exercises in Mississippi can also be described as "historic", said Tashkent-based political scientist Valerii Khan. "After the US military base in Uzbekistan closed in 2005, the military of the two countries haven't had such close contact," he told Caravanserai. "As of now, military-technical co-operation between Uzbekistan and the United States cannot be called 'close' yet, but I would call it 'trustful'." Azizov's visit to the United States signifies that Uzbekistan intends to assert itself and "conduct an independent foreign policy", said Khan. 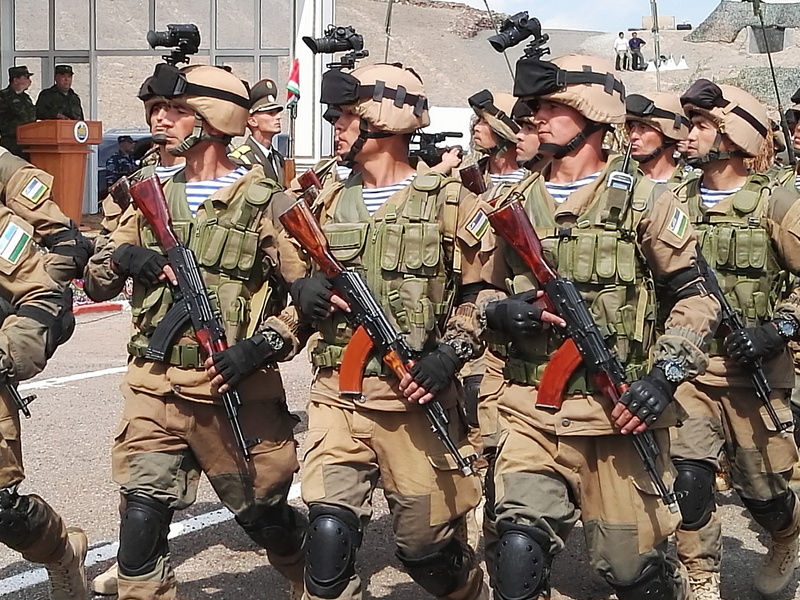 Uzbekistan has been making significant efforts to modernise its army and maintain combat readiness. Those efforts are paying off, according to Global Firepower, a worldwide ranking of armed forces. In 2018 Uzbekistan's armed forces rose nine spots to number 39 in the world, making it the strongest military in Central Asia, according to the latest ranking. 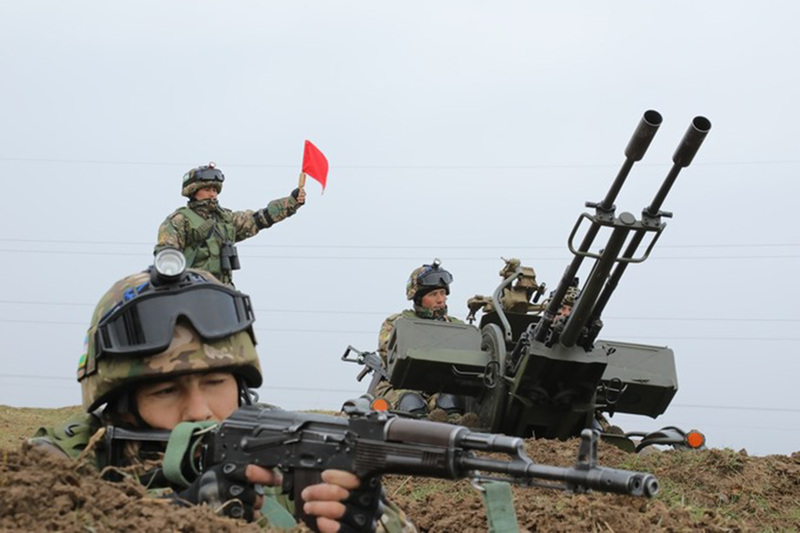 Uzbekistan also held its largest military drills ever in November 2018 to ensure troops' readiness for combat. All branches of the armed forces were involved in the snap exercise, which the Defence Ministry declared a success. In addition to increased military co-operation, US defence and academic institutions have been supporting Uzbekistan's reform efforts. In November, Professor Gregory Gleason of the George C. Marshall European Centre for Security Studies in Germany set up a course on international security at the Armed Forces Academy of Uzbekistan. Gleason, a professor of Eurasian security studies, regularly conducts training for students and teachers at the academy, according to the Ministry of Defence. The additional training and reforms are welcome, said Makhmud Abbosov, a reservist army officer. "Educational institutions of the Armed Forces of Uzbekistan in many cases are still using training manuals created during the Soviet era," he told Caravanserai. "Modern editions in the Uzbek language are often just recycling the old material," he said. "The army is in need of advanced techniques and foreign experience, especially when it comes to tactics." Perceived threats from terrorism and growing unease over the Kremlin's behavior are encouraging Central Asian countries to join together to strengthen regional security. Tajik and Uzbek forces participated in the 'Indestructible Brotherhood' exercises, the first joint drills since the two countries' independence from the Soviet Union in 1991.